Many Disneyland visitors are on the lookout for a cheap hotel. We won’t be spending much time, they reason, so why spend more? And that may be true. For others, the budget just doesn't allow for spending a penny more than you have to. The search for a cheap place to stay is only natural. The cost of a Disneyland vacation is on the rise and you can’t do much about the ticket prices or airfare. What’s left to save money but to stay in the cheapest hotel you can find? Or you could get hit with so many extra fees for parking, resort fees and other costly add-ons that your cheap hotel is no longer a cheap deal. It doesn’t have to be that way. By the time you finish reading this guide, you’ll know how to do good research and avoid extra costs that turn your cheap deal into a dollar-wasting dud. Hotel rates change fast. They vary from day to day and even more by season. 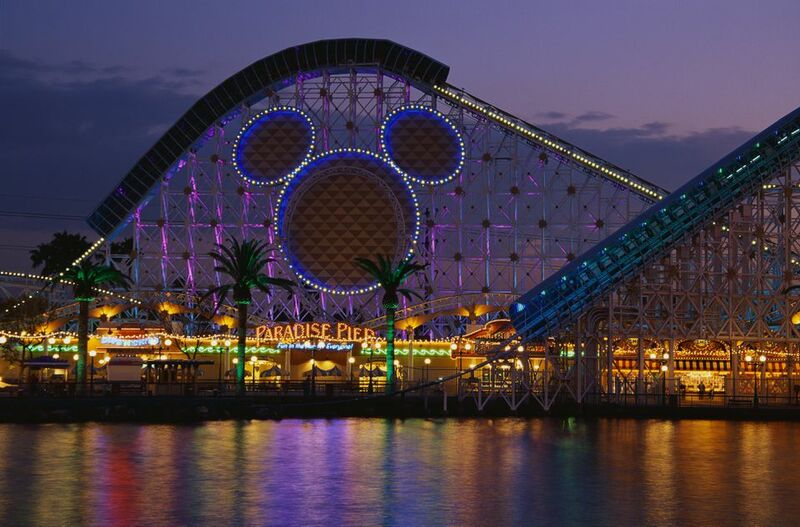 Today's cheapest hotel near Disneyland may not be the cheapest tomorrow. Instead of making a list of hotels that were cheapest at the moment this was written, this guide tells you how to find the best deal for your trip. This is the most important thing you need to know. The rates you get at any website aren't the whole story. Extra costs can make a big difference. The only way to spend the least money possible is to check the total price for your stay. Hotel Rate: Start with the nightly rate you find online. TripAdvisor not only has tons of reviews, but they also search multiple sources for the lowest rate. You can filter your results for hotels within three to five miles of Disneyland and limit the highest rate you want to see. You can also sort by ranking. Unless you have an exceptionally high tolerance for dirt, noise, and poor service, stick with hotels that have rankings greater than 3.5 out of 5. Get started right now by searching for Anaheim hotels. Hotel tax: It's 15% in Anaheim and 14.5% in Garden Grove, and not included in the quoted rates. Parking Fee: Many hotels near Disneyland charge for parking. Rates vary from $10 to almost $30 per day. That charge could make the hotel with a rate that is apparently less than its competition suddenly cost more. Location: You're more likely to find free parking and lower hotel rates a little further from the parks. You save 0.5% on tax if you stay in Garden Grove instead of Anaheim, but you might spend more than that on parking at Disneyland if you need a car to get there. Here's a fictitious example: Cheap-O's Hotel is near the Disneyland gate and charges $99 a night. Oh-So-Low Hotel charges $95 per night, but you'd have to drive to the park. Don't fall for those simple numbers. When you add $10 per night parking at Cheap-O's and the Disneyland parking fee if you stay at Oh-So-Low, those numbers change, making Oh-So-Low actually more expensive at. Check the current cost of parking at Disneyland. Add that to your hotel rate if you're comparing costs between a hotel further away with free parking to one closer to the park with a fee. Even if you don't have a car to drive, you can try to find a hotel on the Anaheim Resort Trolley route, but add up the costs for your group before choosing that option. Another sneaky thing to know about parking fees: If you arrive too early to check in or if you want to stay in the park all day after you check out of your hotel in the morning, some places may charge for extra parking days. The only way to find out about this is to call them and ask. Free Meals: Free breakfast may lower your cost, but not always. If you don't eat much or want lower carb options than the typical, sugar-laden continental breakfast, it might not be. In Downtown Disney, you can get inexpensive pastries and bistro meals at Starbucks — or a breakfast sandwich at Ralph Brennan's Jazz Kitchen. You could also bring breakfast bars or other easy-to-eat breakfast foods with you to lower cost even more. Also, keep in mind that going for a character breakfast means you won't be eating at your hotel that day. Some hotels offer Kids Eat Free All Day specials, but do you really want to go all the way back to your hotel for every meal? Resort Fees: These sneaky fees are showing up all over the Disneyland area, even at the cheapest Disneyland hotels, the ones that are more like a glorified motel. They say the fee covers things like the swimming pool and those "free" meals, and maybe a daily newspaper you probably won't read. The fees are sometimes hard to find on the hotel website. A simple way to find out is to do a search for "resort fee" and the hotel name. Other Fees: Other fees to look out for include charges for rollaway beds, pet fees (which can be quite expensive), and fees to use the hotel's Disneyland shuttle. TripAdvisor is a great place to start your hotel search, but you may be able to lower your rates even more by using these tips after you have identified a few hotels that seem like good deals. If your schedule is flexible, try to plan your Disneyland trip during times when the parks are less busy. Lower hotel room demand means lower prices. Use this guide to find out when those times are. Check the hotel website directly. They sometimes offer packages and deals that may give you an even lower total cost. If you have an AAA card, check the hotel website to see if they offer discounts. You might get an extra discount off an already low rate using this technique. Go old school and call the hotel. Lots of people say they save even more using this simple tip. You can sometimes get a much nicer hotel for the same price as a cheap one. But only if you can tolerate not knowing your hotel's name — or how much they might charge for all those extras — until after you pay for it. To do that, try Hotwire and Priceline. At the very best, you can end up in a four-star hotel for less than the local Roach Motel. A simple strategy for using them is to choose the nicest hotel class available and bid $10 to $15 less than the best rate you've already found.